10 Cafes For That Soft & Runny Egg Yolk! Finally they are back for business! 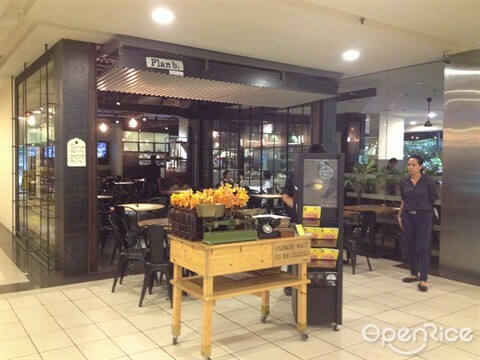 Previously located at Persiaran Ritchie, Ampang; they are now relocated at iKon Connaught. Served same like their previous menu, ‘House Egg Ben’, a platter that comes with double poached eggs, chicken ham, sautéed mushrooms, a portion of salad, crispy roasted potatoes and the signature Hollandaise sauce! Not forgetting to mention that their sauce here is something different as it is homemade that tastes light and not cloying while the potato has a crispness that is good too! Still a hit at Subang area, this place is unique as it looks just like a glass house. A must to try out their ‘Chic Breakkie’. Consist of poached egg served with smashed corn, grilled zucchini, crispy hash browns, smoked salmon, ikura and Hollandaise sauce! With a perfect poached egg that oozes the yolk out when punctured, enjoy them on the crispy hash browns for a perfect taste. Check this place out whenever you are nearby! An exciting place to be at TTDI, cozy, warm and nicely decorated café with a superbly good relaxing atmosphere here; this neighborhood café is would be another awesome place to look out for some eggs benedicts! ‘Monsieur Ben Wafer’ – Frisky Goat’s version comes with spinach on Belgium waffles and beef bacon and topped with 2 poached eggs with hollandaise sauce! Poke the runny yolk and mix them up on that fluffy piece of waffle! A survival tips for the coffee addict: To spend more of your time here; enjoy some good desserts like cakes and coffees (because we know it’s hard to get a parking space here!). Said to be the hidden gem here, in a sports club – PJ Palms Sports Center. Do expect some crowd over the weekends even it is quite hidden from sight at the sports center. Brunch is available here until late evenings. The ‘Egg Royale’, comes with thick slices of smoked salmon, fresh bread, salad leaves and hollandaise sauce! You might have heard one of their famous pancakes – Farmer’s Pancake – it is equally good too! From sweet to savoury, what say you? Being one of the stars at Publika, The Red Beanbag serves undeniably comfort food and desserts to feed your cravings. The recommended eggs benedict that you should try here would be ‘The Atlantic’! With smoked salmon, baby spinach, sautéed mushrooms, fluffy French toast and drizzled with Hollandaise sauce and 2 poached eggs! The buttery French toast is the bomb too! A bright yellow shop front would be easy enough to spot this great French cuisine restaurant here at Bangsar. Yeast, specialize in French cuisine, especially breads is a must try here. Oeufs Pochés Benedictine, 2 perfect poached eggs, Brioche toast with Smoked salmon, béarnaise sauce and some greens. This is what makes it special because they use Béarnaise sauce; is smoother and flavored with herbs. Flavorful, creamy and savory taste from the smoked salmon. Perfect! Looking for a place for breakfast, coffee or some meet-ups? Mr. & Ms. Café remain busy most of the time! A vast variety of food for you to choose from their menu, they do have ‘The Eggs Benedict’ here! Going gaga over these eggs, nicely done poached eggs that makes it so creamy and smooth eating alone with the hollandaise sauce, some sautéed mushrooms and that buttery aroma on a piece of whole meal toast. If this eggs benedict doesn’t satisfy you, they have other eggs related dishes in their menu too! Located at Empire Damansara, perhaps you might have missed this place each time you pass by Mutiara Damansara. If you’re not a morning person, then no need to worry that you need to skip breakfast just for that few more hours of power nap! At Metal Box, they serve All-day breakfast! What a relief. The Red benedict, with 2 poached eggs, sautéed mushrooms, edamame, with beef bacon or turkey ham, topped with Metal Box’s special homemade hollandaise sauce & red wine glaze! The croissants were crunchy, and it matches with the sauces and not forgetting the yolk! Have you tried their Eggs Benedict dish before? Served with bacons, greens and bread; and yes, that runny yolk from the poached egg. Don’t forget to break them up and let the yolk run onto the bread till fully absorbed. It helps to create a different taste by eating this way and that might be another way to make sure the yolks are not wasted! Not forgetting to compliment the bacon strips as well, it tastes just nicely salted and meaty taste too! Named the ‘Eggs Atlantic’ here, consist of Smoked salmon instead of bacon or ham on top of a slice of wholegrain toast. Something different would be that it uses wholegrain toast instead of English muffin! Thick hollandaise sauce topped on two poached eggs, it taste extra creamy when eaten together when the yolks are punctured! Besides Eggs Benedicts, get some great breakfast & brunch ideas here! In Malaysia, we like our bread soft and fluffy, preferably with lots of fancy toppings or fillings. 5 Perfectly Recommended Grilled Toasts You Need to Try! Cheeseeeee! Thick and Long Pulling Cheeeeeesy Korean Food! The Must Try Pork Ribs @ Klang Valley! Guide to Cafe Hopping at Malacca!